Midwest League home-run leader Casey Gillaspie has been promoted to the High-A Charlotte Stone Crabs of the Florida State League, the Tampa Bay Rays announced today. Gillaspie batted .278 with 16 HR and 44 RBI in in 64 games with the Bowling Green Hot Rods this season. He went 0-for-4 in Thursday’s game, his last with the Hot Rods. He is replaced on the roster by third baseman Carter Burgess. 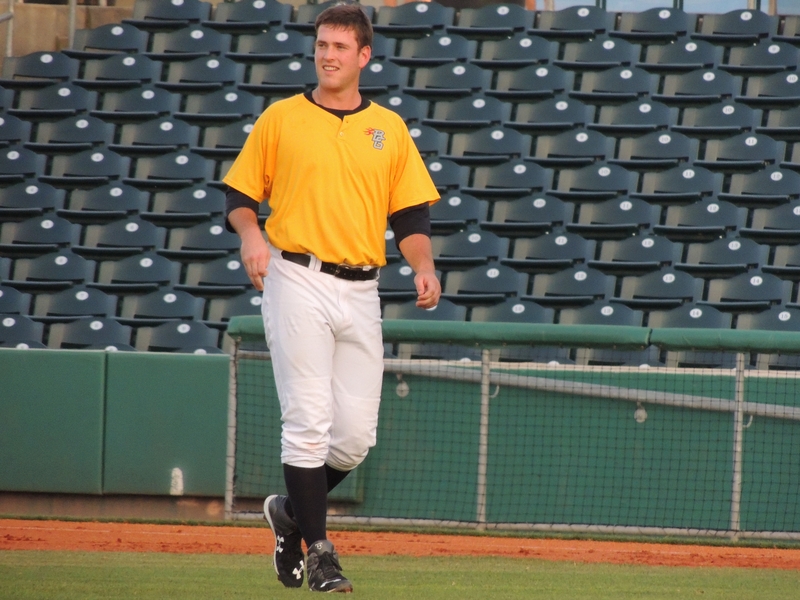 Gillaspie is the third Hot Rods All-Star to be promoted since the All-Star Game was played Tuesday. RHP Brent Honeywell and utility player Jace Conrad were promoted to High-A on Thursday; they were replaced with LHP Jordan Harrison and catcher Sean Smedley. This entry was posted in 2015 All-Star Game, Bowling Green Hot Rods, Charlotte Stone Crabs, Florida State League, Midwest League. Bookmark the permalink.